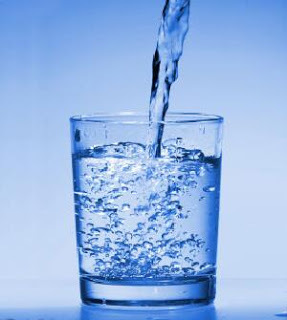 MORNING MANNA : How heavy is this glass of water? A lecturer, when explaining stress management to an audience, raised a glass of water and asked, "How heavy is this glass of water?" Answers called out ranged from 20g to 500g. The lecturer replied, "The absolute weight doesn't matter. It depends on how long you try to hold it. If I hold it for a minute, that's not a problem. If I hold it for an hour, I'll have an ache in my right arm. If I hold it for a day, you'll have to call an ambulance. In each case, it's the same weight, but the longer I hold it, the heavier it becomes." He continued, "And that's the way it is with stress management. If we carry our burdens all the time, sooner or later, as the burden becomes increasingly heavy, we won't be able to carry on. As with the glass of water, you have to put it down for a while and rest before holding it again. When we're refreshed, we can carry on with the burden. "So, before you return home tonight, put the burden of work down. Don't carry it home. You can pick it up tomorrow. Whatever burden you're carrying now, let them down for a moment if you can." It is well know that too much stress is a "killer." Writing in Eternity magazine some time ago Fred Stansberry talks about "stress-related diseases such as cancer, arthritis, heart and respiratory diseases, migraines, allergies and a host of other psychological and physiological dysfunctions which are increasing at an alarming rate in our Western culture." Stress is pretty much common to us all in today's pressure-cooker world. It is our responsibility, however, to do what we can to lessen the stress factors in our life wherever possible. To do this the following tips can help. Write down all your cares and worries. Put them in order of priority and eliminate those that aren't important. 1. Know what your limit is and limit yourself to what you can handle. 2. With stress comes pent-up feelings. Learn how to express these creatively and get them off your chest. 3. Accept the fact that some things can't be changed. 4. Limit major life changes to as few as possible in any one year. 5. Resolve all resentments immediately. 6. Make time for rest and relaxation ... get sufficient sleep. 7. Watch your diet and eating habits. 8. Maintain a regular physical exercise program. 9. Ultimately, however, we need to learn to trust our life to God in all circumstances.